STEP ONE: Gather the fabric you wish to use to make the patches. I actually cut the bottom off a golden vintage top that I have owned for a couple years now but never put to use. I first cut two large rectangles about the size of my hand. STEP TWO: Trim the edges of the rectangles so you get two equal sized oval pieces. STEP FOUR: Gather thread and a needle. I chose black because it was the same base color of the fabric under the gold. STEP FIVE & SIX: Sew ovals in a loop like style. 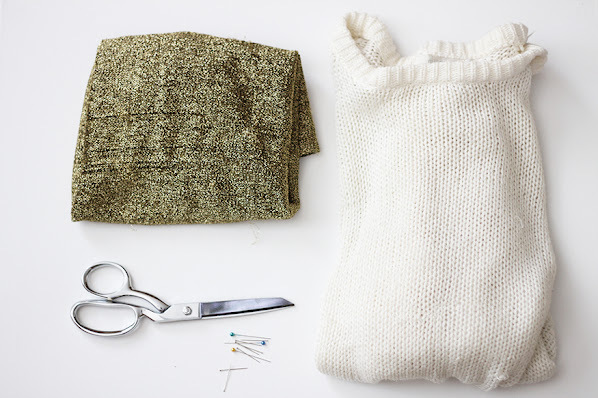 Start from the inside and sew the edges like a spiral. 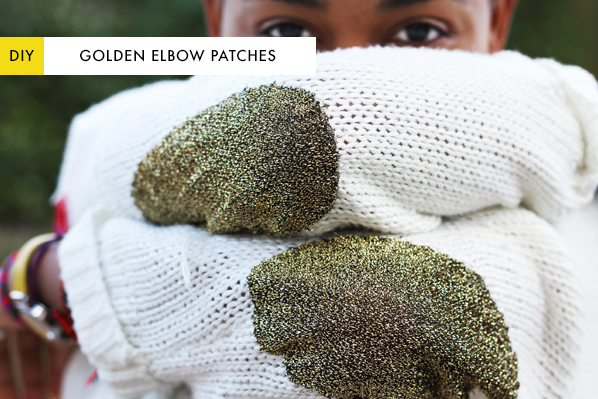 This ensures that the patch will look clean against the sweater and won't have any bulges in the fabric when you bend your elbows. And that's all! Overall, this project took me about 30 minutes and technically didn't cost me anything new (already owned the sweater and materials)! Now that's a fashion bargain. Enjoy! This is BEAUTIFUL!!! love the photography and the project! definitely bookmarking! 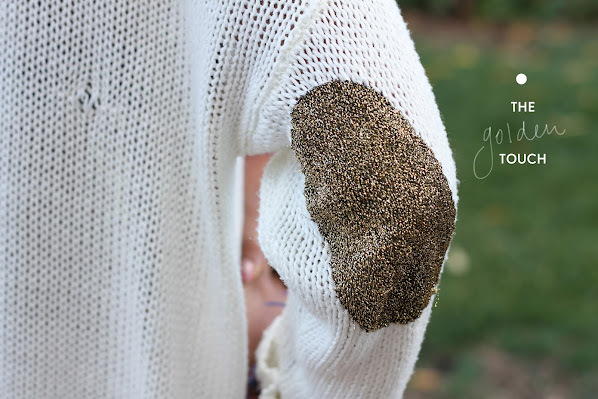 Such an easy but cute project idea, you're awesome Marje!!!! This is a beautiful blog! I'm such a fan! Keep up the good work, hun!